Research Computing supports several methods of file transfers onto Summit. File transfers from a local machine can be done via two ways: Through Globus or through SSH protocols. 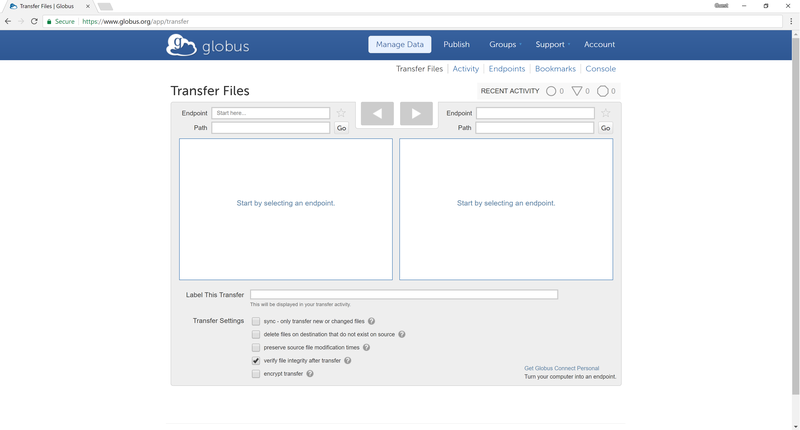 On Globus, file transfers are handled through an interactive web application. Globus addresses deficiencies in secure copy requests by automating large data transfers, resuming failed transfers, and simplifying the implementation of high performance transfers between computing centers. 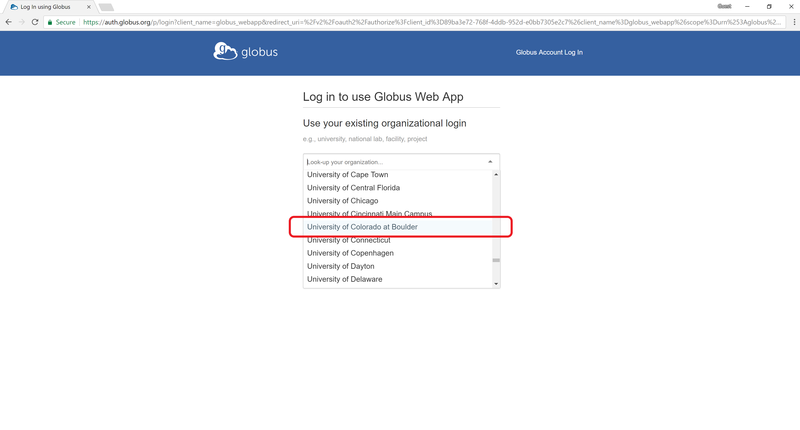 Sign into Globus Connect by selecting “University of Colorado at Boulder” from the dropdown menu and by logging in using your CU IdentiKey and password. If you’re with an institution outside of the University of Colorado at Boulder that is registered with Globus, sign in with your appropriate credentials. If your institution is not registered with Globus, you will need to make an account with Globus. Files can easily be transferred from Summit to your local computer with Globus. Research Computing resources are installed with a Globus endpoint. You can connect to this endpoint by clicking the “endpoint” field and searching for the endpoint: CU Boulder Research Computing. Log into the end point by using your Research computing credentials. Your local computer must also have an endpoint. You can easily set up a Globus endpoint by installing Globus Connect Personal on your local machine. Using the web app, connect your local workstation endpoint with the Research Computing endpoint and transfer files easily using the Globus GUI. # to send the file to within your rc home directory. # to copy from within your rc home directory.